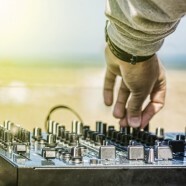 Advertisers use a variety of techniques to leave a lasting impression on consumers, but perhaps none may be as influential as the use of music. Try and think of a recent commercial that didn’t accompany its message with some sort of melody. A musical composition can establish brand recognition, reach specific demographics, inform with lyrical content and, of course, provide entertainment for viewers. This Two for Tuesday, let’s check out two strategies of branded music: jingles and pop songs. They both have a multiple benefits, and history shows a good melody can last a lifetime. Now that Empire Today has expanded nationally, it isn’t just Chicagoans singing “588-2300-Empire!” Empire’s jingle is arguably one of the most recognizable and useful. There’s even a website dedicated to their Empire Carpet Man. Since 1977, there have been just a couple small modifications in the jingle to account for a toll free number and the change of the company name from Empire to Empire Today. But all in all, Empire Today has branded itself with the same jingle for over 35 years. What do you hear when you think of a Kit Kat bar? If you’re like most, you immediately heard a crunchy break followed by “Gimme a break, gimme a break, break me off a piece of that Kit Kat bar!” This famous jingle became brilliantly connected with the candy bar in 1986. Even Carrie Underwood has covered the recognizable jingle. It seems like every time I have a Kit Kat, someone instinctively says, “Hey man, break me off a piece of that Kit Kat bar.” Hilarious, but no. I will not share. One of the best parts about having Will Smith star in your movie as that he can promote it better than anyone. Before the movie Men in Black hit theaters, we were all rapping along to “Men and Black” the song. The popular music video became an instant hit worldwide, and it told fans what to expect from the movie: Men in Black was going to be hip, clever and action-packed, just like the song. How about an honorable mention to another one of Big Willy’s promoted hits “Wild Wild West?” One of my favorites. In 2009, Coca-Cola launched their “Open Happiness” campaign with a branded song that was hard to forget. The song, “Open Happiness,” featured some big names, including Cee Lo Green, Patrick Stump, Brendon Urie, Travie McCoy and Janelle Monae. The collaboration of a variety of artists in a song that stretches over a few different music genres certainly applies to a lot of people. After all, everyone drinks Coke, right? Matt is a Junior Executive at SJG. He graduated from DePauw University in Indiana with a BA in communications. He hopes to one day become knowledgeable in enough areas to compete in a TV trivia game show with huge cash prizes. In his free time, he enjoys traveling, writing, comedy, photography, and asserting alpha male behavior on the basketball court.